KITENDE – Vipers SC have confirmed that they will not renew left back, Aggrey Madoi’s contract. Madoi’s contract is set to expire at the end of this month but the club’s official website confirmed, it will not be renewed. Madoi joined Vipers from Fufa Big League outfit Jinja Municipal Council Hippos (Hippos) in 2015/16 season. Madoi has been on the radder of several clubs across the CECAFA region with Tusker FC of Kenya expressing the more solid interest. The move by Vipers will now enable Madoi to join a club of his choice with the Venoms not gaining anything from the transfer. Madoi’s departure means that Vipers will now be left with only one recorgnised left back in Yayo Lutimba. In the same vein, the Venoms through their technical director Eddie Butindo this afternoon announced the release of Ndizeye Sefu, Dickens Okwir, Fred Okot, Davis Kasirye and Noah Wafula. All five are expected to go out on loan until the end of the season. “Vipers has decided to let these players go on loan to other clubs as we try to shape our squad for the remainder of this season. 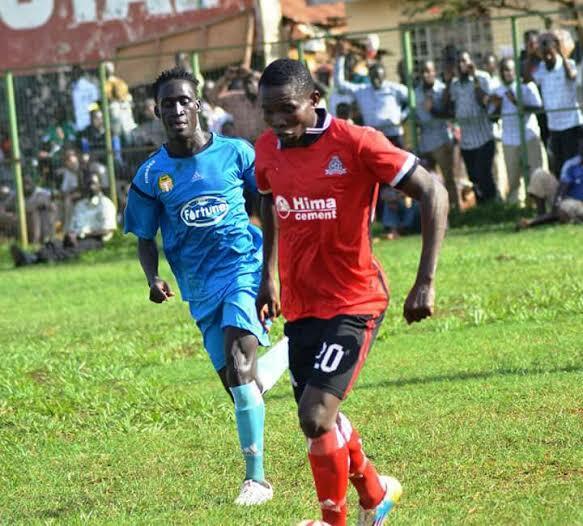 The Kitende based side assured that they will come out with full details once the loan deals for the above players have been secured although Paidha Black Angels and Mbarara City have shown interest in acquiring the services of striker Dickens Okwir.